My name is Kathleen Morris and I’ll be guiding you through the next Student Blogging Challenge with support from challenge founder, Sue Wyatt, and the Edublogs team. The ten week challenge runs twice a year beginning in March and October. The next challenge runs from March 3 to mid-May. *Registrations for students and classes open February 10. Registrations from volunteer commenters are open now. Find out more! 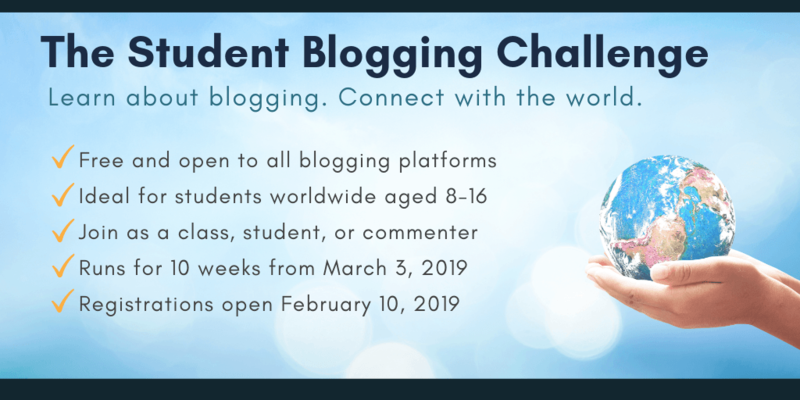 The Student Blogging Challenge is totally free and a fun way for students worldwide to learn and connect. The challenge is most suitable for students aged around 8 to 16. New Video! Why Take Part In The Student Blogging Challenge? In this video, I introduce you to some past participants who share what they got out of the last Challenge. Thank you to the students who featured in the video from California (USA), Performance Learning Program at Seycove (Canada), and British International School Belgrade (Serbia). Registrations for students and classes open February 10 and we’ll be putting a call out for volunteer commenters soon. You can join our mailing list to stay up to date with all the challenge news. Simply fill out the form below or click here to open the sign up form in a new tab. 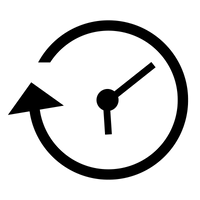 While You Wait … Get Ready! You don’t need to have any blogging experience to participate in the challenge; however, we do recommend getting a head start with setting up your blog earlier. By doing this, you may find that you’ll get more out of the challenge. Student Blogging Bootcamp (for students) — This course guides students through the process of setting up and using their own blog. You might like to assign all/parts of the bootcamp to your students before the challenge begins. Blogging With Students Teacher Challenge (for teachers) — We walk you step-by-step through the process of setting up a class blog and blogging with students. This 5 page FAQ PDF should answer most of your questions. Feel free to print it off, or share it with colleagues. Head over to our About Page to learn more about the challenge and download a parent information note which you may want to distribute to families. Feel free to leave a comment below if you have any additional questions and we’ll get back to you. Hope to have you and your students involved in the next Student Blogging Challenge! While You Wait ... Get Ready! « Alex Answers Your Questions!